Before former representative Mike McIntyre (D-N.C.) ran for Congress in 1996, many people told him he would not survive politics because of his Christian convictions. McIntyre, who began a relationship with Christ around the age of 12 as a result of watching a Billy Graham Crusade on television, swam against the generally liberal tide of his party. 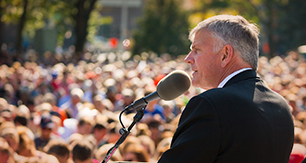 It is the duty of Christian men and women—like McIntyre—to offer themselves for public office, Franklin Graham says. “One reason we’ve had such bad political leaders is because in some places it’s only the bad ones that offer themselves for office,” Franklin told nearly 6,000 people during his Olympia, Wash., Decision America Tour stop. But do religion and politics really mix? 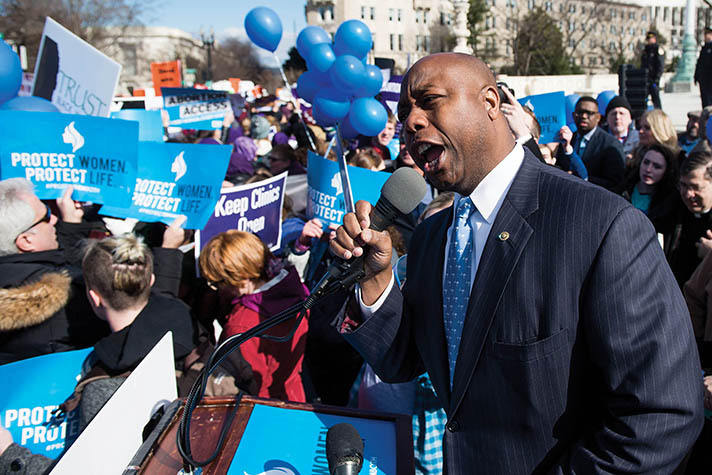 U.S. Sen. Tim Scott (R-S.C.) thinks so: “Those of us who are people of faith should go toward areas where there is a need for Biblical truth,” he said. And when you’re in the U.S. Senate, sound voting requires divine wisdom. Scott tells of a time when there was an important vote ahead in the Senate. He gathered with four other members of Congress—including Rep. Trey Gowdy, his spiritual accountability partner—in the Capitol chapel and bowed before God, asking for wisdom. It was that same God-given discernment and faithfulness that earned McIntyre favor with his constituents, who respected and praised him. He served nine terms, beginning in 1997 and ending in 2015, when he decided not to seek reelection. Having been in public service for more than 20 years, Scott also understands the importance of consistency, and is no stranger to the corruption that seeps into the moral fiber of leadership—on all levels. His strategy, as a believer and as a statesman, has been to stay tethered to God’s Word and to His people. Daniel Darling, vice president of communications for the Ethics and Religious Liberty Commission—the policy arm of the Southern Baptist Convention—works daily to build alliances for Gospel purposes. And as a theologically trained pastor, he sees the need for Christians in office to help shape culture. “The way culture is changing—for example, the definition of marriage or gender identity—makes it a confusing time,” Darling told Decision. “A public square that is void of Christian political witness is really bereft of a uniquely Christian worldview. For instance, the Christian worldview favors human dignity and believes every person was created in the image of God. Oftentimes a misunderstanding of church and state hinders Christians from offering themselves up for public office. Whether we are called to serve in public office or not, the responsibility rests on the shoulders of the citizens. And it’s up to the church to steward their votes well. “Romans 13 says that God grants leaders power to serve for the welfare of the people. But He hasn’t given authority to only our leaders,” Darling said. 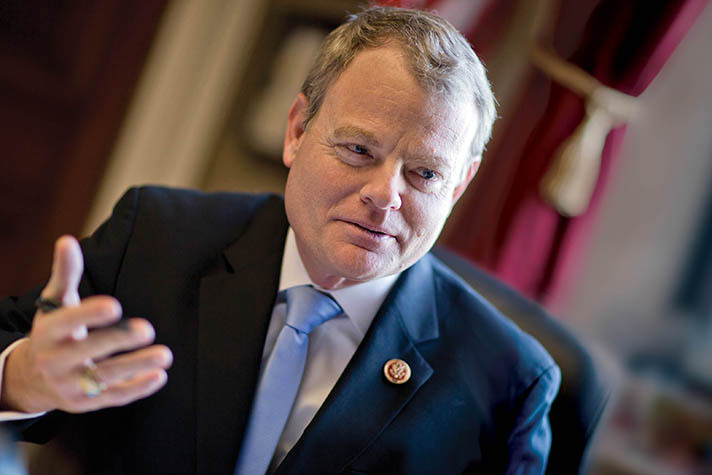 Former representative Mike McIntyre now works at a Raleigh, N.C., law firm as a senior advisor and director of government relations.